Welcome to Business Safety, Ireland’s premier ISO management consultants specialising in Quality, Safety, environmental, and now Information Security management services in Munster and Leinster. As professional safety, quality, environment and information security consultants, we offer a full suite of bespoke services for our many clients including advice, training and assistance with implementing management systems which conform to ISO 9001, 14001, 45001 (previously OHSAS 18001) and 27001/2. Whether you are pursuing certification to these standards, or looking for assistance with internal audit or the maintenance and upkeep of your management systems, we can provide you with expert advice in these areas. We also assist customers in the preparation of safety statements, manual handling training, the implement of ISO 14001, OHSAS 18001, ISO 9001 and construction safety officers. Our approach, whether assisting you with achieving ISO certification, conducting internal audits, or providing ongoing site safety officer services is to provide you with a personalised service. For continuity of service, you will have a key account manager who will work with you to form a strong relationship with your organisation, ensuring your safety, quality, environment or information security requirements continue to be handled by a single point of contact. Here at Business Safety, we are pleased to declare that we have over 20 years of experience in providing advice to managers and owners across many and varied businesses in a range of sectors. Recent works include developing ISO management systems for TQS Integration (ISO 27001), Endeco Technologies (ISO 9001, 14001, 18001), Core Grouting Services (ISO 9001, 14001, 18001) and Cappoquin Logistics (ISO 9001, 27001). All of our experienced health and safety consultants are skilled and knowledgeable, delivering cost-effective solutions for the best results. Working with many different customers as safety consultants in Ireland, our clients include local businesses, small builders and government agencies. No matter what your business is, please contact us and request a callback to see how we can assist you, we guarantee to fulfil all of your health and safety requirements, on-time and budget. You can rest assured when you contact us here at Business Safety, safe in the knowledge our safety consultants are chartered members of the Institution of Occupational Safety and Health (IOSH). 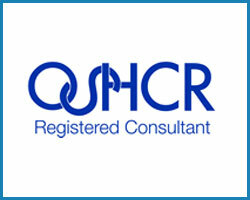 They are also participants of the IOSH Continuing Professional Development Scheme for your added peace of mind. We take an unwavering approach to Safety, Environment and Quality Management and offer a full complement of services. If you want to benefit from a personal service that’s friendly and tailored to your requirements with full support and backup, don’t hesitate to contact us today. Business Safety is easy to locate with offices in Dublin, Cork and Waterford ready to take your call. As independent consultants, we work on behalf of small, medium or large organisations, offering safety, quality, environmental and information security consultancy services throughout Ireland for the private and public sector. Contact us today for complete solutions whether you require stand alone management systems or integrated management systems and let us show you how we can be of service to you. You can request a callback or call to speak to us on 083362700. As a Safety Consultancy, we cover parts of Munster and Leinster, including Cork, Waterford, Tipperary, Dublin, Carlow, Limerick, Meath and Kildare.